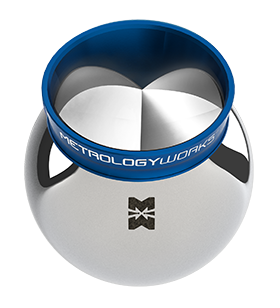 MetrologyWorks repeatability targets are reflectors that can be used in connection with a laser tracker to perform repeatibility or drift checks during measurement sessions. They are commonly temporarily or permanently attached to the surrounding structure or a part. After they are measured multiple times you can compare readings to see if a part to which they are attached has moved, i.e. the repeatability of a measurement made by the laser tracker or if the laser tracker itself has moved due to drift or sag. Because they are meant for repeatability measurements rather than measuring based on an offset from the center of the ball with a laser tracker, the optics within the target are not centered to any particular centering specification. This also provides some significant savings over the standard price of an SMR. Many customers will commonly use as many as a dozen targets at once and sometimes many more for larger projects. This particular exclusive design of a repeatibility target provides a tough stainless steel housing that is magnetic. 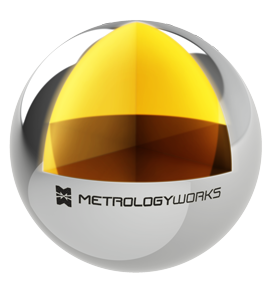 The backside is spherical so it will sit in Metrologyworks 25mm drift nests. 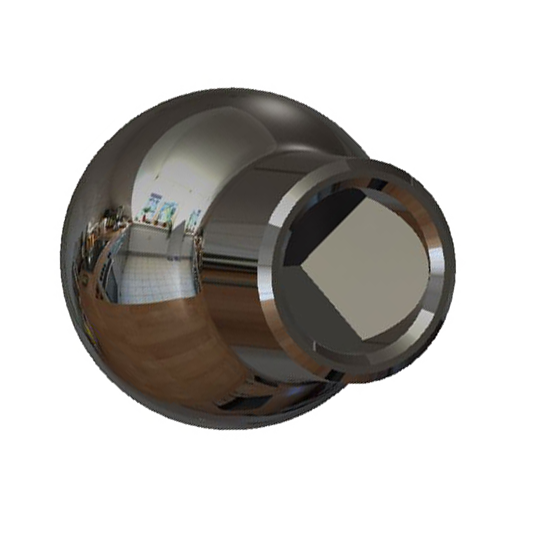 The spherical backside allows for the repeatibility target to easily be pointed toward the desired direction with the magnet from the drift nest holding the target in place before it is more permanently mounted with something like hot glue or epoxy.